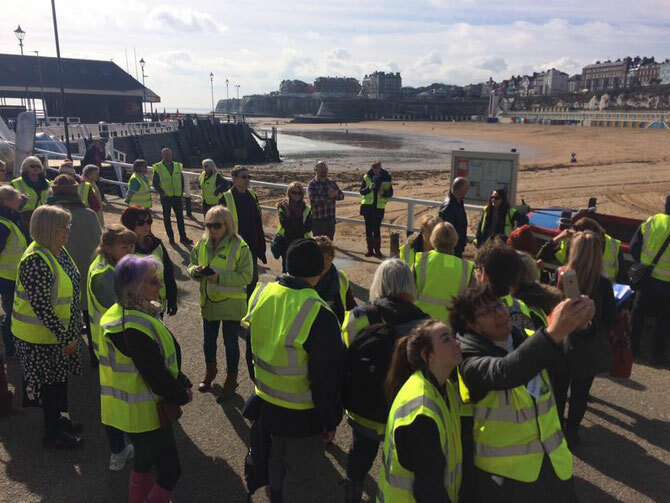 Broadstairs Town Team aim to make our town an even nicer place to live in, work in and visit. Collaboration is key to that. It's all about Community working together. Broadstairs is our beautiful town on the East Kent coast, between Margate and Ramsgate, on the quaintly named Thanet Loop bus route, just over an hour from central London, or 20 minutes to Canterbury, by train. St Peters is our sister parish and boasts a beautiful 12th Century church (St Peter in Thanet) and churchyard. The town has seven beautiful sandy bays, a characterful high street, pretty parks and plenty of things to see and do. We love it here. But we still want to make it even better. We do what we can. You can learn about our activities by browsing this site, connecting with us on social media or coming to one of our events. Get in touch if you'd like to get involved and we will look forward to meeting you. To find out more about our part of the world, have a look at Visit Thanet.